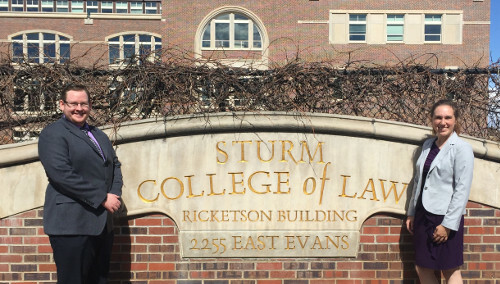 The University of Denver Sturm College of Law hosted the regional ABA Representation in Mediation Competition in March. This was DU’s second year to participate in the competition. In addition to Denver Law’s two teams, law student competitors from the Mitchell Hamline School of Law, UC Hastings College of Law, University of Idaho College of Law and the University of Mississippi School of Law competed here. 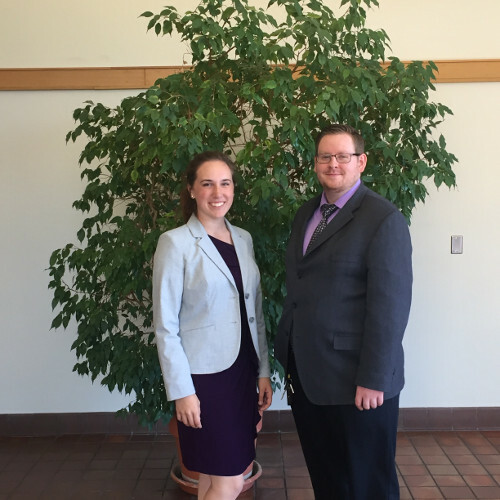 Denver Law’s team of Steven Lambert (3L) and Erin Long (1L) won the tournament and will be representing the law school at the national competition in San Francisco April 18-20; the team of Erik Carlson (2L) and Sarah Rice (2L) finished in third place. Both teams are coached by Visiting Associate Professor of the Practice C.J. Larkin; the competition coordinator for Denver Law was Amy Roepke, adjunct professor and client counseling team coach. Thank you to all the volunteer mediators and judges who made hosting the competition possible. In October of this academic year, during “Mediation Month”, the ABA ADR Section co-sponsors an essay competition for law students on ethical issues in ODR (Online Dispute Resolution). Each year, a new fact pattern involving a mediator using technology to conduct a mediation is presented. The essayists must identify the ethical issues arising from the fact pattern and suggest the best course of action for the mediator. For the second year, DU Law has held a local competition based on the ABA’s essay competition. In January, Cory Wroblewski’s essay was selected as the winner and he received a $50 cash prize. The three essay finalists were Elisa Marie Overall (3L), Nicole Sorenson (3L) and Christopher Wisher (2L). 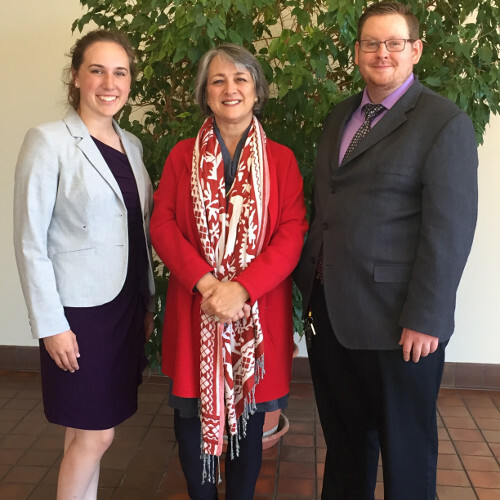 DU Law sent our first team to the ABA Representation in Mediation Regional Competition in Salt Lake City earlier this month. 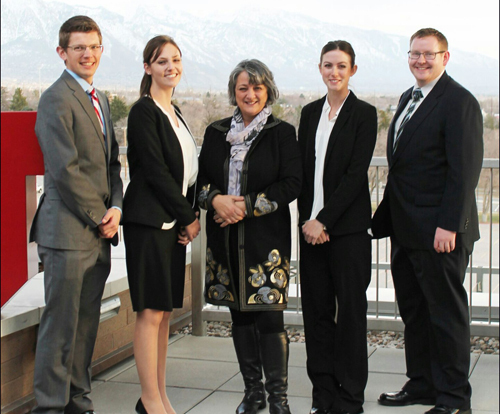 Twelve (12) teams from the Northwest Region competed in sessions mediated by renowned Utah professional mediators. 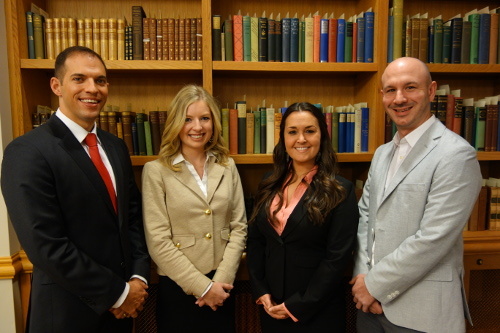 Team members Erik Carlson, Kema Johnson, Steven Lambert and Kalie Rosenbaugh prepared to play the roles of both attorney and client. The competition challenges students to develop their skills in client counseling, negotiating, problem-solving and working with a mediator. Try-outs for next year’s team will take place in Fall 2016. For further information about this competition, please contact Professor C.J. Larkin.